Oh, Shakespeare and Company. I’ve been to this store twice, the first time to buy a tote bag in 2014 and the second time to buy another tote along with a copy of To Capture What We Cannot Keep earlier this year. I knew it wasn’t the same store as the one that the Lost Generation frequented, but I had no idea of its rich history or what an interesting person George Whitman was. I first thought this book would be a quick read for me because it is filled with large-print text and a kind of scrapbook arrangement, but I was so absorbed in it I ended up savoring the pages and taking forever (for me) to read it. This book is a wonder and it made me want to both wander the world and follow my wildest dreams. 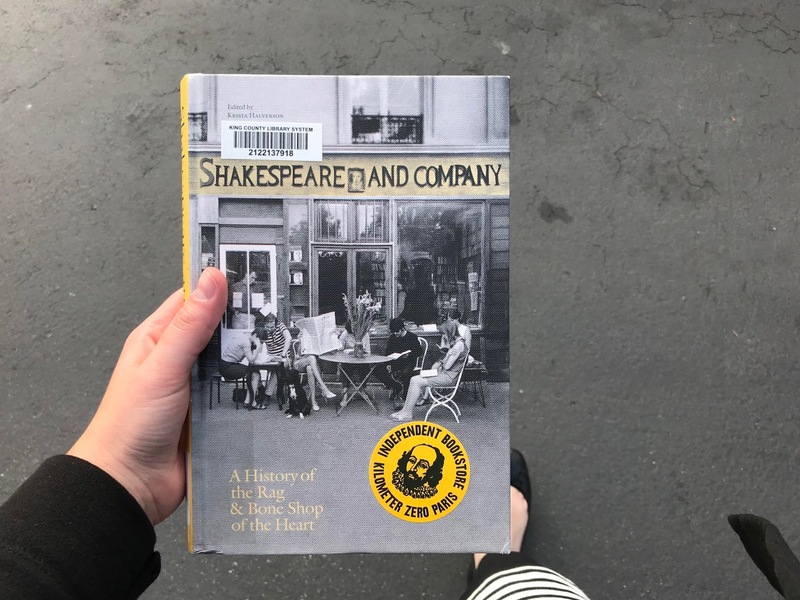 I absolutely loved learning about Whitman’s life and the evolution of Shakespeare and Company and will look at the store with completely new eyes the next time I am there. I will also be sure to leave room in my suitcase to bring this back with me on my next Paris trip for a special souvenir.